Find user-submitted events featuring Gateway artists, businesses, and organizations at local galleries, stores, restaurants, theatres, parks, and other venues. 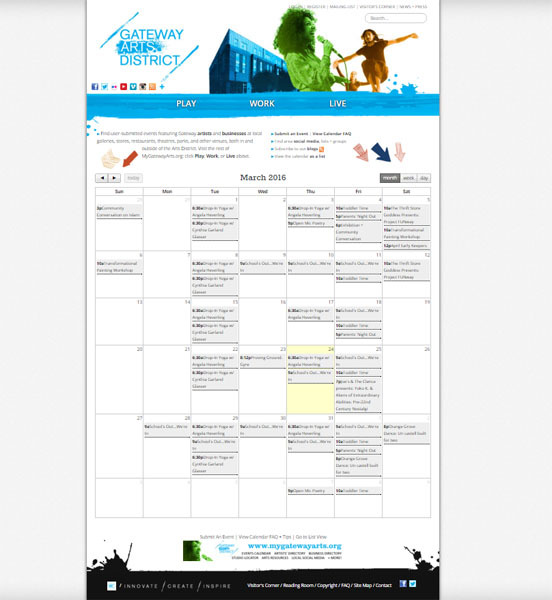 This calendar lists both events within and nearby the Gateway Arts District. Visit the rest of MyGatewayArts.org: click Play, Work, or Live above.